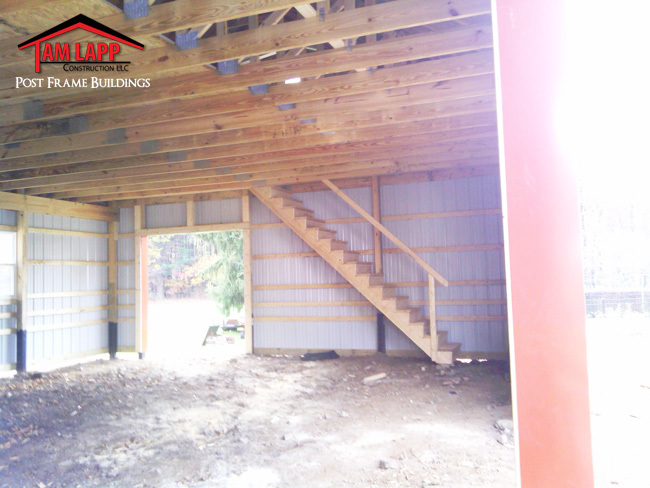 8 /12 Pitch Attic Trusses – 3/4″ Plywood Floor – 36″ Stairway. Overhang boxed-in w/ white vinyl soffit w/ fascia trim: 12″ Sidewalls. 3′ Wainscot around bottom of building. Entry Doors: (2) 36″ 9lite. Windows: (5) 3′ x 4′ Insulated w/screen, NO GRIDS. 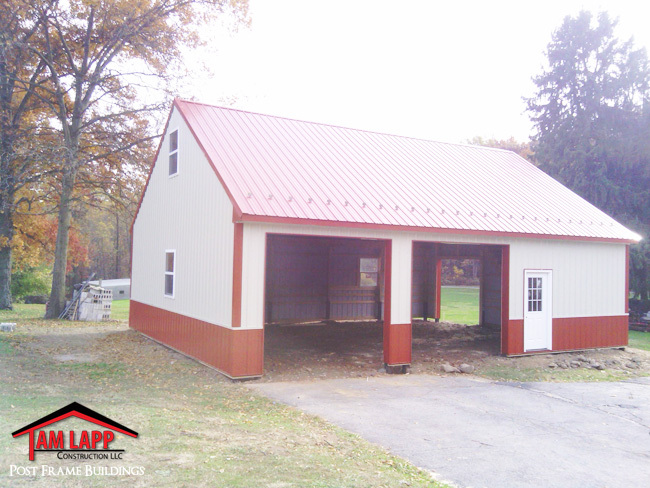 Garage Door Framed Openings: (1) 8’W x 8’H & (2) 10’W x 9’H.